PowerStar water heaters are electric and tankless appliances designed by German manufacturer Bosch. With two models available these electric units can be installed and used for the whole-house residential applications. Since the PowerStar is discontinued use Bosch Tronic as a replacement. 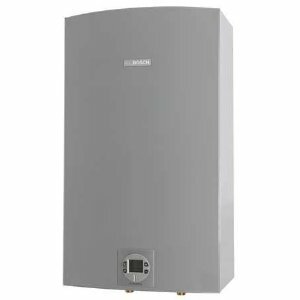 PowerStar tankless water heater can operate any typical water application in the home but you cannot run two major fixtures at the same time, like having a shower while the dishwasher is working. Note: Both PowerStar models are designed for indoor installations and in the room where there is no chance of freezing. The only way to fully protect your electric unit is by removing it completely from such exposure. 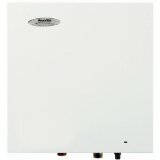 Bosch PowerStar whole house water heaters are instantaneous electric units designed to deliver hot water to any of the plumbing units in the residential application, providing over 90% thermal efficiency. 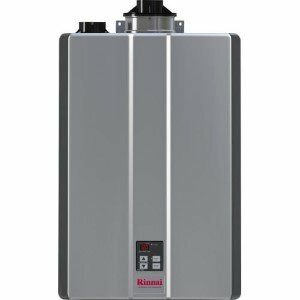 They are designed to replace a 40-gallon tank type electric unit and provide an endless hot water with much better efficiency. These whole house electric heaters heat potable water for domestic purposes, with the recommended incoming pressure from 1 bar to 10 bar (15 psi - 150 psi). The maximum inlet water temperature it can handle is 86 F or 30 C, while model AE115 is not recommended in climates where average ground/inlet temperature is less than 60 F or 15-16 C.
Based on the flow rate they provide and thermal output, you can choose one of 2 different on demand models: AE115 and AE125. 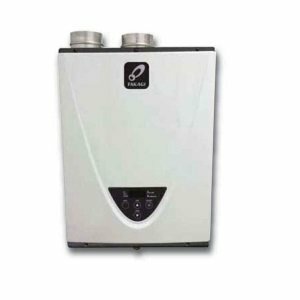 PowerStar AE115 has the energy factor of 0.90 and efficiency of 90% with the maximum output of 17.25 kW, and 2.6 gallons per minute hot water supply. PowerStar AE125 has the energy factor of 0.94 and efficiency of 94% with the maximum output of 26.85 kW, and 4.0 gallons per minute. Each heater has a safety system, thermal cut-out. If the temperature goes too high, cut-out system will trip and cut the power to heating elements. To run the system again, you have to press the reset button. An electronic flow sensor provides constant output temperature which is beneficial when the flow rate of the incoming water changes. Comparing it to other electronic water heaters with on / off option, PowerStar AE115 and AE125 are changing their output as they have steps in power output. To adjust the hot water temperature use the external temperature control knob at the bottom of the unit, so your PowerStar unit can heat water from 95 to 135 F or 35 to 57 C.
Note: Keep in mind when installing PowerStar AE115 model; it is using 150 amps while AE-125 200 amps. Always check local codes before installation. You can buy these Bosch electric whole house appliances online like Amazon, eBay, online plumbing stores or through chain stores like Home Depot, Lowe's. To buy PowerStar water heaters AE115 and AE125 you have to pay between $450 and $650 for the brand new unit and depending on the store, or cheaper, around $280 and up for factory refurbished unit.